Since 1999. Also available in Japan, Thailand, Indonesia, Malaysia, and Vietnam. INTERSPACE DIGITAL SINGAPORE PTE.LTD. is operating ACCESSTRADE, affiliate marketing platform, for Singapore market. ACCESSTRADE is the leading affiliate platform in Southeast Asia, originated in Japan since 2001. 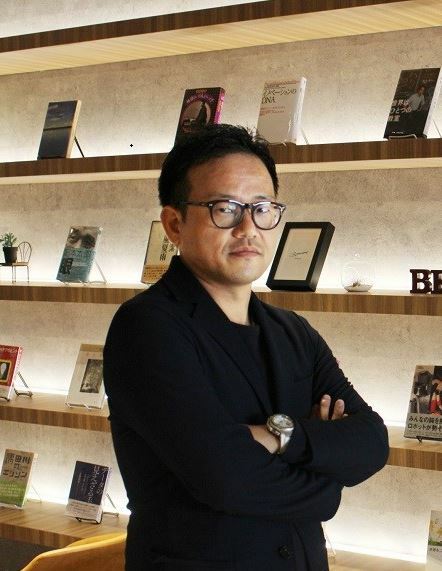 Since 2012, Interspace Co., Ltd has been expanding to Indonesia, Thailand, Malaysia, and Vietnam with more than 100,000 online publishers in affiliate marketing. Lately, the company expanded to Singapore, formed INTERSPACE DIGITAL SINGAPORE PTE.LTD. Interspace Group has more than 500 employees throughout the world and Interspace Co., Ltd has been listed in the Mothers section of Tokyo Stock Exchange since 2006. 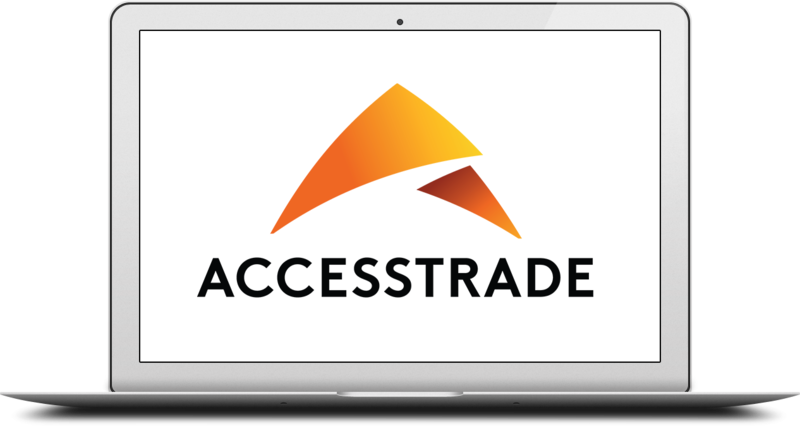 ACCESSTRADE is the intermediate affiliate marketing platform connecting online service companies such as E-commerce, Travel, Retail, Bank, Finance institute, Online booking and media partners such as websites and blog owners, Influencers, and Youtubers to promote their products and services to users. Regionally, we've been engaging with companies and brands from many industries with our affiliate marketing platform, including Shopee, Agoda, Booking.com, Citibank, CIMB bank, Jetstar, and so on. We are loved as providing pure performance-based digital advertising with the highest-quality service and contributing to their business growth. On the other side, we've been keeping robust partnerships with our affiliate publishers, by providing them advertising revenue with our client campaigns, superb dashboard, on-time payment, and hand-in-hand support. Our publishers network are first-class in both quantity and quality and vary to media types such as price comparison site, cashback site, coupon site, vertical niche site, as well as those who are willing to make money online, both as side-income or full-time work, by utilizing their digital assets such as websites, blogs, and social media accounts. 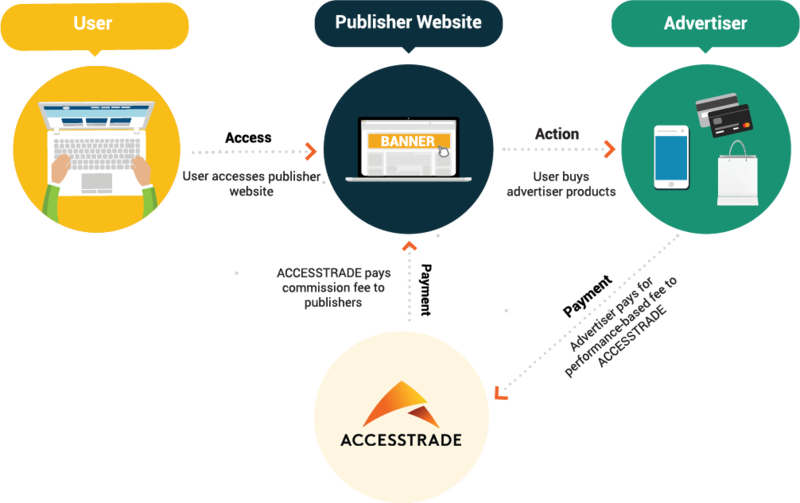 Outside Singapore, ACCESSTRADE is also running its affiliate marketing service in Japan and other countries such as Thailand, Indonesia, Malaysia, Vietnam with over 25,000 merchants and 600,000 publishers. You only pay if a certain predetermined action is met. No payment without result. Only pay at the end of the month. The amount is caculated on real conversion and checked by both parties. Affiliate will use their own skills such as SEO, GoogleAd, Facebook marketing, Instagram marketing, Youtube posting, Blogging, Email Marketing and Mobile Marketing, to bring business for you. ACCESSTRADE has run 20 years and succeeded in Japan, a very demanding and highly competing market. No need to pay for fake and useless advertising cost which often happens in CPM & CPC cost model. Our support team will assist you to have your campaigns started easily. Opportunity to make money online with Hot campaigns, superb dashboard, on-time payment, and excellent support. We have many merchants' campaigns, varying in action types and industries at the market-best commission rate that you can choose to work on and invest on that to earn unlimited revenue. We're here help you grow advertising revenue and make money online. We provide you superb management dashboard, reporting tools to monitor your working results with the utmost reliability and transparency. The payment will be conducted on monthly basis via bank as scheduled. Our support team is always there for you to answer your inquiries, advising you how to earn more money online by choosing suitable campaigns and optimizing your websites and social media. We care about you and love to be your helpful assistant. As affiliate marketing platform, we support different types of action, such as Purchase completion, Registration completion, Application completion, and Mobile-app installment completion. Our charging models would vary to CPS (Cost-per-sale), CPL (Cost-per-lead), and CPI (Cost-per-installment). These conversion points are usable for all following industries. CEO, INTERSPACE DIGITAL SINGAPORE PTE.LTD. Konami has more than 15 years working in online and affiliate marketing. 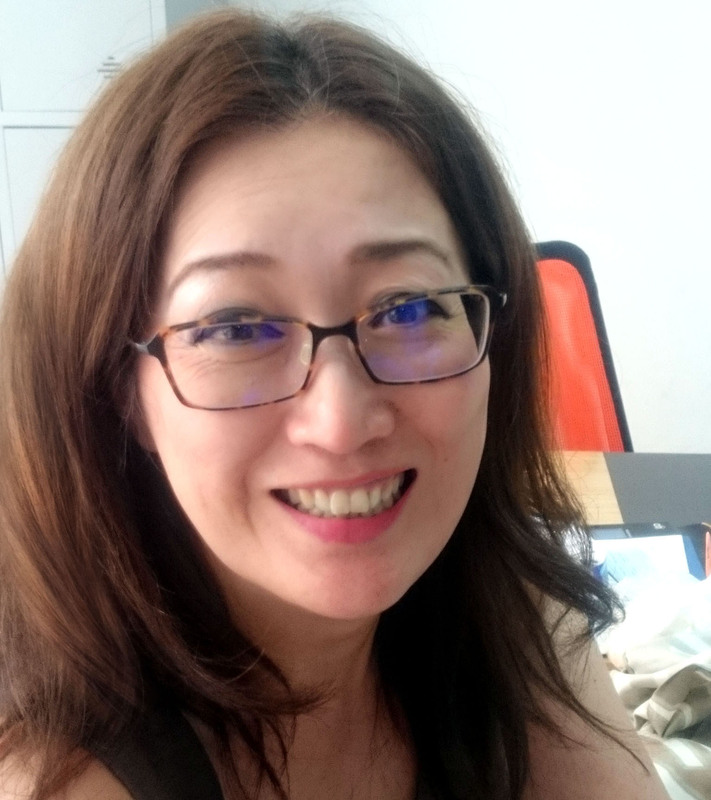 She joined Interspace Co., Ltd in Tokyo and then played an important role in bringing ACCESSTRADE to Indonesia, Thailand, Vietnam. Since April 2019, she came to Singapore and serve as COO/CMO of the company. 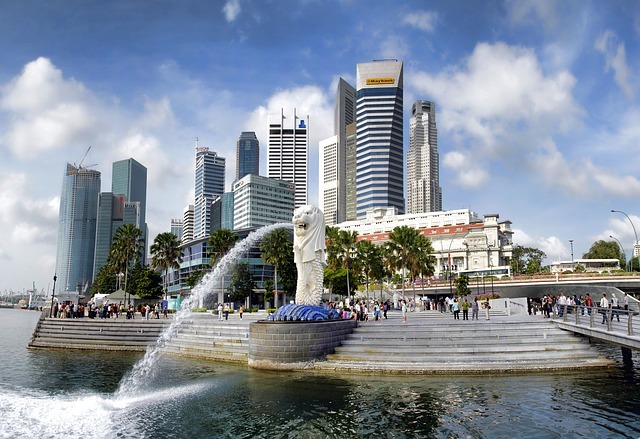 She devotes for promoting and bringing affiliate marketing to the next level in Singapore. COO/CMO, INTERSPACE DIGITAL SINGAPORE PTE.LTD. We are working on following countries. ©2019 INTERSPACE DIGITAL SINGAPORE PTE.LTD. All Rights Reserved.